Wisconsin's state Superintendent of Public Instruction runs for reelection as a critic of Scott Walker's attacks on teacher unions, funding cuts and vouchers proposals. Debates about education policy often get muddled, especially at election time. Though school board contests across the country regularly touch on local elements of the fight over the future of public education, and though legislative contests frequently raise policy details, it is rare that voters in a high-profile statewide contest face an absolutely clear choice on a broad range of education concerns. But in Wisconsin, where Republican Governor Scott Walker has attacked teacher unions and hacked away at education budgets, and where Walker now proposes a sweeping expansion of a controversial vouchers scheme to shift public money to private schools, voters will have a chance to register their response Tuesday. Evers was one of more than 900,000 Wisconsinites who signed petitions seeking to recall Walker, who survived the June, 2012, electoral challenge but remains a highly controversial figure in Wisconsin and nationally. 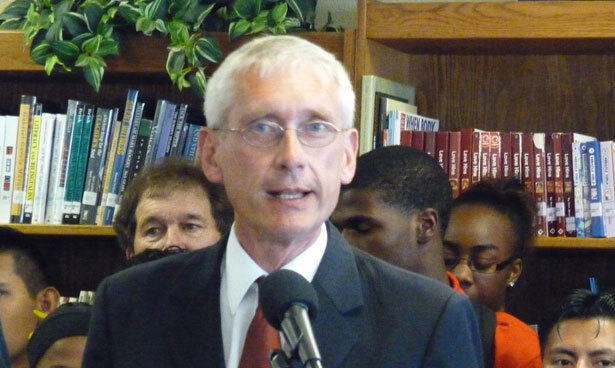 Evers has been steady in his criticism of vouchers schemes, which he says have not delivered for students or communities. "To spend hundreds of millions to expand a 20-year-old program that has not improved overall student achievement, while defunding public education, is morally wrong," the superintendent has argued. That’s the opposite stance from the one taken by Evers’ challenger, State Representative Don Pridemore, a Republican closely aligned with Walker. Backed by GOP legislative leaders, Pridemore is an ardent advocate for vouchers who echoes the arguments made by conservative critics of public-sector unions and the teachers who are active with them. The Evers-Pridemore race offers what the Associated Press has correctly identified as a “stark choice” for voters on a range of education issues that begins with the voucher debate but does not end there. Pridemore backed Walker’s controversial 2011 assault on collective-bargaining rights for teachers and other public employees, along with the governor’s cuts to funding for education and public services. Evers is backed by the Wisconsin Education Association and American Federation of Teachers union locals in the state. And his campaign literature has featured images of the superintendent talking with teachers during mass rallies at the state Capitol. Pridemore wants to respond to school violence by allowing armed volunteers to patrol the hallways. Evers thinks that’s a poor idea. But the core difference is with regard to the commitment states and communities bring to maintaining public schools. Pridemore embodies not just the Walker agenda, but the vision advanced by national groups that complain about budgeting resources for public schools while promoting the diversion of taxpayer dollars to pay for private schools. Evers embodies the classic pro-public education agenda. He doesn’t just defend public schools; he’s gone so far as to propose during the current campaign that state spending be increased by roughly $225 per pupil. That’s bold talk these days. But Evers is asking voters to make a bold choice in favor of public education—and of the budget priorities that sustain strong public schools. In New York, fracking companies are ramping up their lobbying—this time, putting Yoko Ono and fellow artists on the stand. Read Jon Wiener's take.